The hotel and event center expansion of the Mystic Lake Hotel Casino managed to open in time for the new year, as it was initially planned. 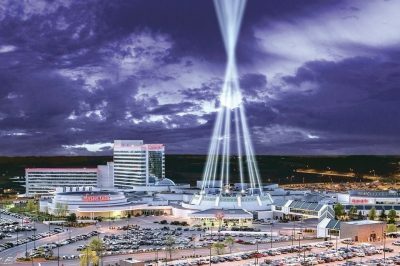 The grand opening of the Mystic Lake Hotel Casino was held on Thursday, with the planned expansion being finalised and the place being ready to demonstrate its renovated facilities. The casino was aimed at showing not only the type of events that could take place there, but also to demonstrate the new technology available. Angela Heikes, who is Chief Executive Officer and President of the gaming business of the Shakopee Mdewakanton Sioux Community, commented on the expanded and renovated building, calling it “a work of art”. She further explained that it was important for the venue’s team to match the needs and expectations of their customers. According to Ms. Heikes, the newly-created expansion had great meaning to the entire community. Local residents from the entire area, including some Prior Lake and Shakopee city staff members, came to the grand opening. 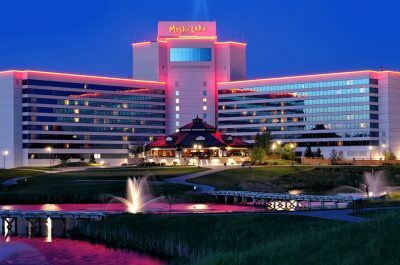 The expansion of the Mystic Lake Hotel Casino, called the Mystic Lake Centre, was officially given a start in 2016, with Native American staff being employed to especially work on the expansion. Mike Headrick, the Vice President of PCL Construction Services, shared how proud the entire team were, as the place’s expansion was completed by employing Native American workforce. The hotel tower is nine stories tall, with the rooms overlooking at the Meadows at the Mystic Lake’s golf course. The hotel facility was expanded by adding 180 rooms, 18 suites included, which brought the overall number of rooms available at the Mystic Lake Hotel Casino to 766. The new event center of the venue, which is aimed to be used for various events, meetings and conferences, is situated on a 70,000-square-foot space. Three big ballrooms are featured, but they can be divided into smaller areas as well. An executive conference room is also available. New technological solutions and developments are currently featured in the meeting and convention areas. When it comes to the design of the expanded areas, it was much inspired by Minnesota-located natural scenes, with ceiling panel designs, chandeliers and the entire interior being work of art. The Group Sales Manager of the Mystic Lake Hotel Casino, Holland Tudor, shared that the new design is really aimed at being a tribute to the beauty of nature and also at raising the thoughtfulness of nature. One of the main goals of the expansion was connecting the indoor with the outdoor spaces, which became possible by using special technological glass called SageGlass. Apart from expansion, renovation and adding new technological solutions, the expansion of the Mystic Lake Hotel Casino also gave a boost to the region’s economy, as 120 new jobs were created following the expansion.